DuPage DUI lawyer Donald J. Ramsell will present at the National College for DUI Defense’s Summer Session held on the property at Harvard Law School on July 23. “I am honored to be invited to present among such a distinguished group of criminal defense lawyers. I hope my presentation will provide further insight to DUI law and refusal cases,” says DuPage DUI attorney Donald Ramsell. Ramsell & Associates, LLC is pleased to announce that Naperville DUI lawyer Donald J. Ramsell will be speaking at the 2014 National College for DUI Defense’s (NCDD) Summer Session. The four-day, member only event will be held on the property at Harvard Law School in Cambridge, Massachusetts. The NCDD Summer Session commences on Thursday, July 23 and runs through Saturday, July 26. The program will be an intensive focus on developing and fine tuning trial skills for all attendees. The NCDD is a professional, non-profit organization dedicated to the enhancement of the criminal defense bar, and to the distribution of information to the public regarding DUI defense law. NCDD members represent the most experienced DUI defense attorneys in the country. 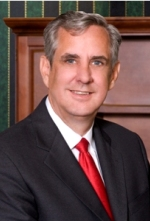 Naperville DUI lawyer Donald Ramsell will conclude Friday’s summer session with his presentation entitled The “Just Say No” Case: Refusals at Every Stage of the Arrest. Ramsell has experience presenting at criminal law seminars across the country. Most recently he has presented at the 49th Annual Illinois Traffic Conference and MCDAA’s 11th Annual Advanced DUI Defense Seminar in Maryland. In addition to his active membership within the NCDD, DuPage DUI lawyer Donald Ramsell was selected for membership to the Top 100 Trial Lawyers organization in 2013. The organization acknowledges attorneys for their skill and success held by only the elite attorneys in the United States. He was also named a 2014 Illinois Super Lawyer, which marks his 8th Super Lawyer designation. Ramsell is a managing partner at Ramsell & Associates, LLC. He focuses his legal practice on criminal law, DUI’s drug crimes, felonies, misdemeanors and traffic violations. Ramsell and his DuPage criminal law firm have been featured on CNN, 20/20, CBS, NBC, FOX, COURT –TV and Hannity and Colmes. Ramsell & Associates, LLC is located in Wheaton, IL. The DuPage criminal law firm has defended over 13,000 clients since opening in 1986. If you are dealing with a criminal law matter and would like to work with an experienced criminal attorney call 1-800-DIAL-DUI or fill out the online contact form for a free case review.